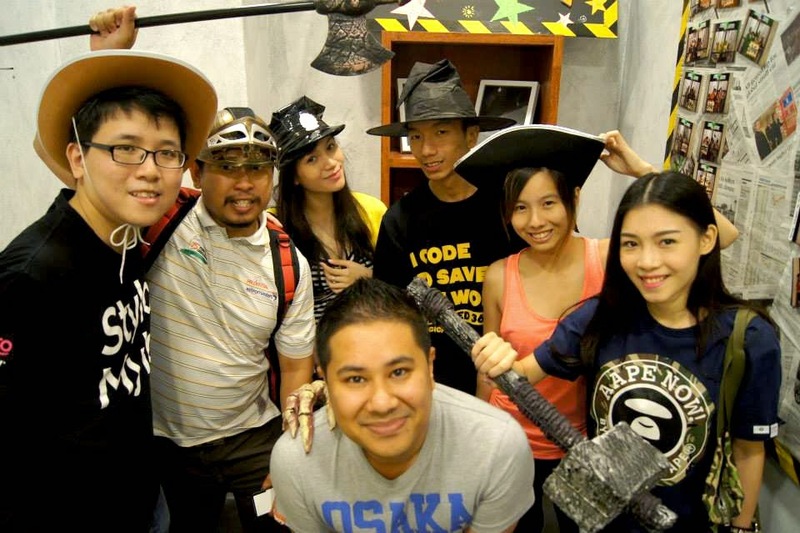 [Blogging] An Escapade @ Code Factory!! #CracktheCode Challenge! 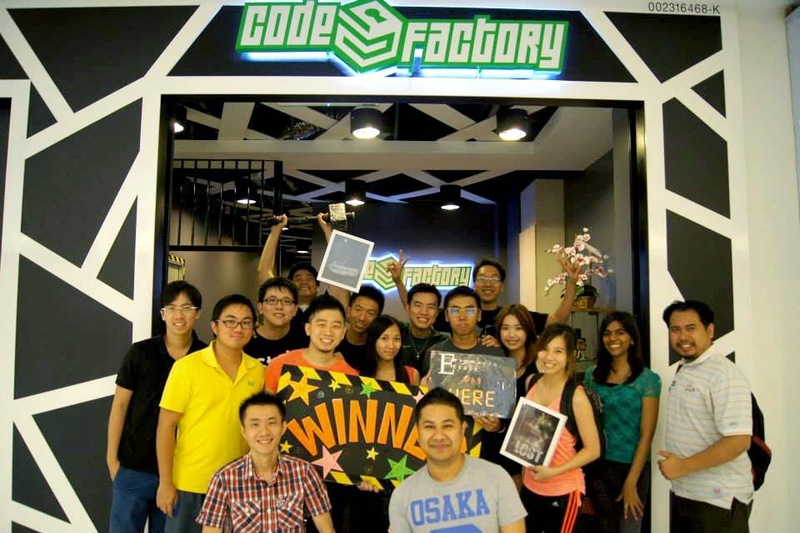 Kuala Lumpur, October 2014 – It was a pleasant Saturday morning last week filled with excitement as I took up the challenge at “Code Factory” located in Jaya Shopping Centre! Let me share with you some of my personal experience during the games at Code Factory! First of all, I would like to let you all know more regarding Code Factory. 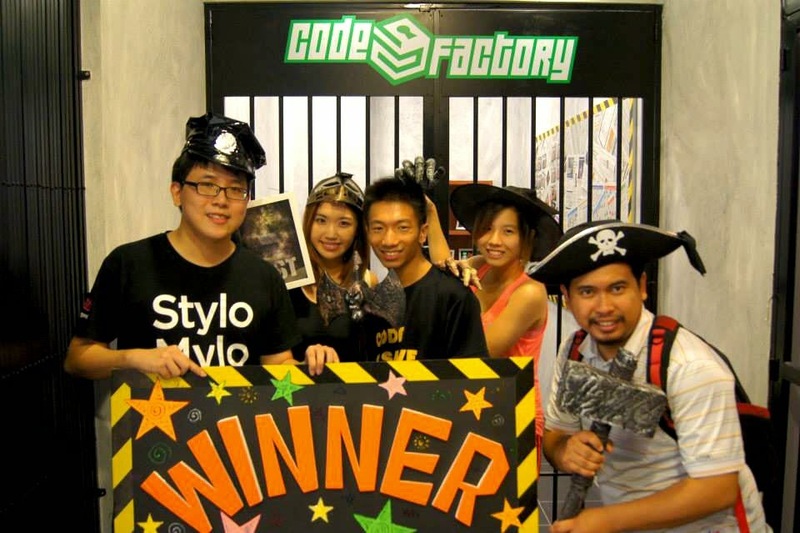 Code Factory is consists of a dedicated team who designs and creates puzzles rooms for people who love to take up challenging fun! It currently consists of 4 rooms with a variety of themes, experience, creative puzzles and quizzes. All of these games are unique and extraordinary. The “Stylo Mylo” Team consisting of Barbarians! The events have invited bloggers, escape games experts and even youtubers! It was a fun gathering for all of us and we get to know each other more through the event! Prior to our games, we have to draw lots to decide our team members. I have got the “Barbarian” team and was grouped with bloggers including my friend Marc (http://www.marcsjy.com/ ) as well as newly met friends such as Vania (http://instagram.com/vaniamania ), Bro Framestone (http://www.broframestone.com/), Namee Roslan (http://nameeroslan.blogspot.com/) and Vicky Bobo (http://www.vickybobo.net/). Inspired by the T-shirt I wore, “Stylo Mylo” was used as the title for our banner! And yeah, here we go, the Barbarians who are Stylo Mylo were ready to take up the challenge! 50 Minutes As A Great Inspector! Well, it was really a challenging game as it required a lot of teamwork. We were stuck in the first room for a long time because we failed to communicate with our separated members for certain clues and we had to use all the hints to get through the first room. The game requires a lot of observation and critical thinking as most of the clues were scattered at insignificant spots. All of us were struggling to seek for clues there. The last room was the most memorable ones as it involved some skills in a certain mini-games! There’s a catch in the last room though, we would “die” and lose the game if we didn’t play the mini-games in a correct manner. Eventually, we managed to survive the game room…with extended time…special only during that event! Lucky us! Despite having to extend our times, we were still provided with certificates by the wonderful organizer. Thanks a lot! Of course, a few of us still felt like challenging ourselves for a second game. The organizer was generous enough to let us take up the second game of our own choice. So, we felt like trying out “Lost” for the thrill of it! The team for our second game in "Lost"! Joining the “Lost” game were me, Marc, Vania, Bro Framestone and our new member Wilee Tee (http://wileetee.com/). Scary Atmosphere But Great Fun! It was a really dark room and it really felt as though we were in the woods due to the delicately crafted environments! The mood was amplified even more with background noises such as the wolf’s howl! Overall, the puzzles and quizzes were much simpler than the ones in “The Operation 174”. But without any doubts, it has created some mind-cracking moments for all of us. Besides, it has some surprising moments in it that have startled us! I am not revealing it here though, if you want to know what’s awaiting inside, let’s go find out at Code Factory in Jaya Shopping Centre! We were managed to escape from the room “Lost” within 40+ minutes! Although it was just a small success, but it felt really great! Overall, it was really a fun day at Code Factory! We were glad to be able to try out these two rooms. There are another two rooms though and I am hoping to try it out again next time! Here’s our last group photo during the event! Our last group photo! All of us were winners! Me and one of the co-founder of Code Factory, Barry!